There are HUGE areas of Asia which have been scoured by the Chinese collectors....they'll eat anything and everything! Countless species are being lost. It's disgusting. One law for the rich and another for the poor. Very Sad, thank you for sharing. I had no idea this trade is going on. Very sad news - is there any animal safe ? What happens to turtles there is not a new story. ,In the Comore islands, for example, although they are protected, there is no one to enforce the law. 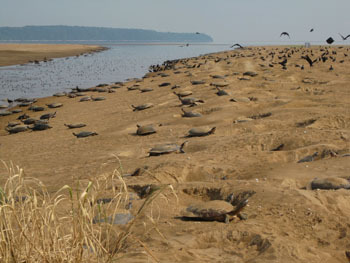 So poachers come at night, kill the turtles and take all their eggs. This is how species disappear in no time. I hope the rich choke on every bite they take. Its always the same rich get everything they want and the poor get nothing and the animals end-up suffering! There must be alternatives for the poor. But the rich should pay the fines! The inequalities of the world have no limits! Sad! Thanks fro posting this great article! Once the turtles are gone, they are gone forever. We need fewer humans in this world and more animals.